After a full redesign last year, Ford's Super Duty trucks return for 2018 with a few more options and configurations. The F-450 Crew Cab with an eight-foot box and two-wheel drive is now available, while XL trimmed trucks come standard with a backup camera for this year. A new Dark Marsala interior is available on Platinum trimmed trucks while the King Ranch now features a unique interior that uses an antique-effect on the leather seating surfaces. 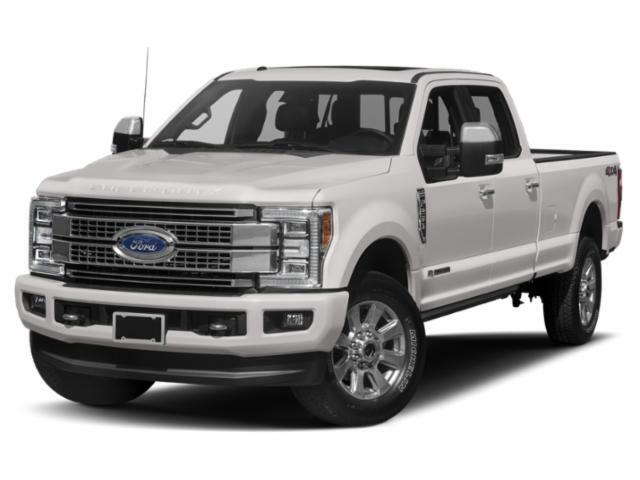 Ford's F-Series Super Duty pickup trucks are built on a fully boxed frame made of 95 percent high-strength steel. The platform shaves nearly 350 pounds from the curb weight while strength is increased by a factor of 24 over the previous generation's frame. 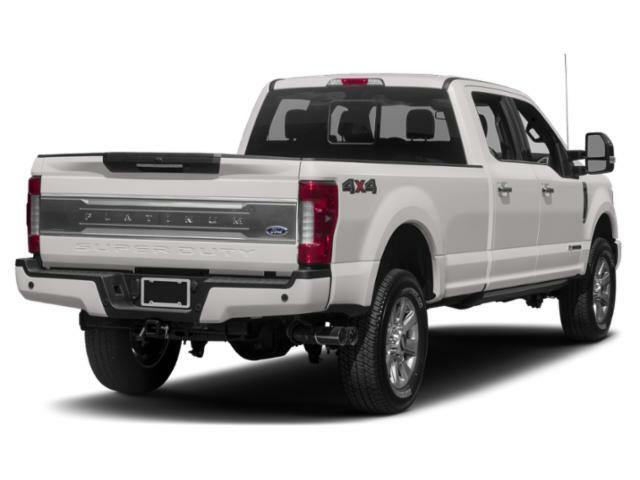 Riding atop it is a high-strength aluminum alloy body which Ford describes as military-grade. The F-Series Super Duty provides buyers with best-in-class towing capabilities. In properly equipped F-450s, that means up to 21,000 pounds of conventional capacity and an impressive 32,500-pound capacity when hooked up to a fifth wheel. Meanwhile, the F-250 offers best-in-class payload capacity of 4,200 pounds, while the F-350's best-in-class payload tops out at 7,630 pounds. In short, the Super Duty hauls. These F-Series Super Duty trucks are powered by a variety of engines. Standard is a flex fuel 6.2L gasoline V8 that makes 385 horsepower and 430 pound-feet of torque. When ordered as a chassis cab only for the F-450 or F-550, standard power comes from a 6.8-liter V-10 that produces 288 horsepower and 424 pound-feet. Finally, a second-generation 6.7L Power Stroke turbo diesel V8 delivers best-in-class power figures of 440 horsepower and an incredible 925 pound-feet of torque. All engines are mated to a TorqShift 6-speed automatic transmission. Ford's Super Duty pickups are offered in a variety of three-quarter and one-ton configurations--F-250, F-350, F-450--in both 2- and 4-wheel drive, with cabs including regular cab, extended super cab, and 4-door crew cab. Bed sizes include lengths of 6-feet 9-inches and 8 feet, with both standard rear-wheel and dually configurations. Trims across the range include XL, XLT, Lariat, King Ranch and Platinum. XL models include things like 17-inch steel wheels, quad dual-beam halogen headlights, tie-down hooks, heavy-duty vinyl on a 40/20/40 split bench front seat, air conditioning, an AM/FM stereo with either four or six speakers depending on cab size, 12-volt power outlets, tilt/telescoping steering wheel, AdvanceTrac with roll stability control, and trailer sway control. XLT trims add 18-inch alloy wheels, a SYNC infotainment system, SiriusXM satellite radio, cruise control, cloth seating, and a rearview camera. The Super Duty Lariat adds luxury to the fold, with leather seating, a center console, the SYNC 3 infotainment system with voice activation and optional navigation, 10-way power driver and passenger seats, dual-zone automatic climate control, a Sony 10-speaker audio system with CD/MP3 player, power-adjustable pedals, an eight-inch productivity screen, and rear privacy glass with a power sliding back window in crew and super cabs. The King Ranch trim comes only on crew cab models. 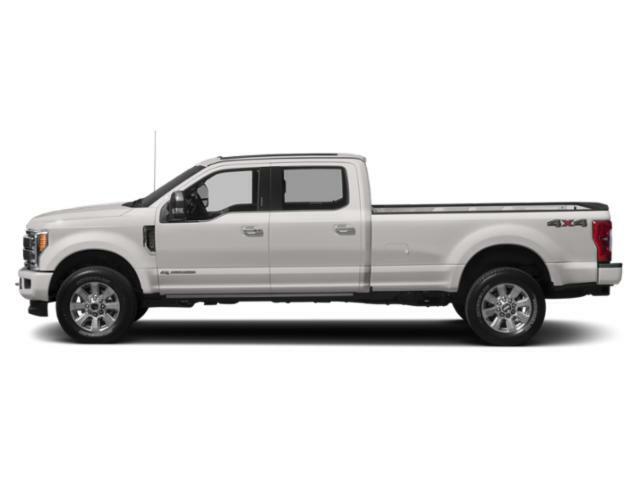 It includes all the Lariat's standard features, plus an accent-color bumper, two-tone paint, running boards, special alloy wheels, remote start, special Mesa brown leather seating with heated and cooled front seats, a heated leather-wrapped steering wheel, voice-activated navigation, a reverse sensing system, universal garage door opener, and more. Finally, the crew cab-only Platinum trim rides on 20-inch wheels and features LED headlights, fog lights and taillights, power running boards, remote tailgate with a built-in tailgate step, adaptive steering, and blind-spot monitoring with rear cross-traffic alert. Options on lower-tier trims include many of the standard features from upper-level trims, like navigation and rearview cameras. A power sunroof, adaptive cruise control, LED bed lighting, and lane-keeping assist are also optional. The available Ultimate Trailer Tow Camera System features seven cameras that allow drivers to better maneuver a trailer during hook up, backing and towing. Ford's fully redesigned F-Series Super Duty pickup trucks are better than ever. While they share the looks of the popular F-150, the Super Duty series is a workhorse like no other. The trucks offer best-in-class towing and hauling capabilities, thanks in part to an impressive Power Stroke diesel engine that produces an incredible 925 pound-feet of torque. 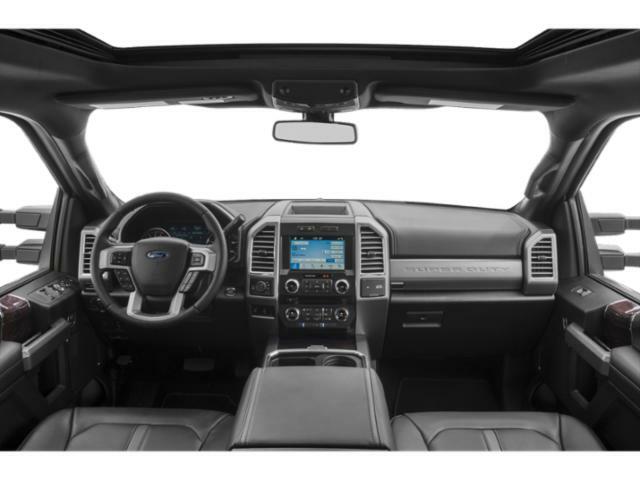 With interior amenities that range from sparse to ultra-luxurious, there's a Super Duty F-Series pickup for everyone. Automatic w/OD Trans Description Cont.